This post for to Celebrate National Llama Day is sponsored by my good friends at Cost Plus World Market but all opinions are my own. What are you doing this weekend?! 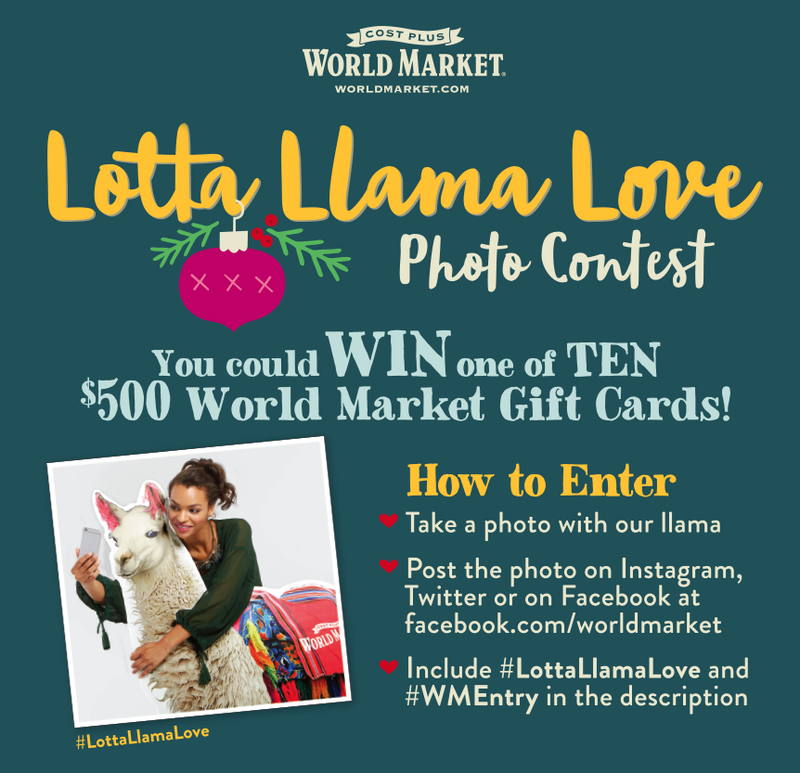 Celebrate National Llama Day on Saturday, December 9th with me and Cost Plus World Market. IT’S BACK! 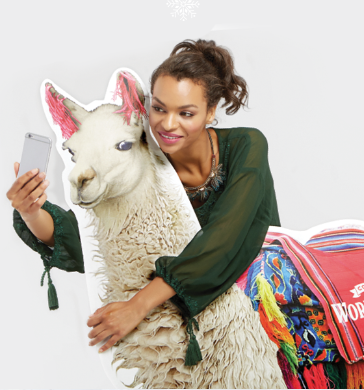 There is still time to participate in the Golden Llama Treasure Hunt at your local Cost Plus World Market. Find a one of the 5 Golden Llamas in-store and receive coupon valued at $100 on 12/9/17 only. Join me and Cost Plus World Market from 1 to 3pm at the Lennox Town Center for HOT COCOA! We’re serving Llama Dulce de Leche White Hot Chocolate FREE to our customers from 1pm to 3pm – while supplies lasts. 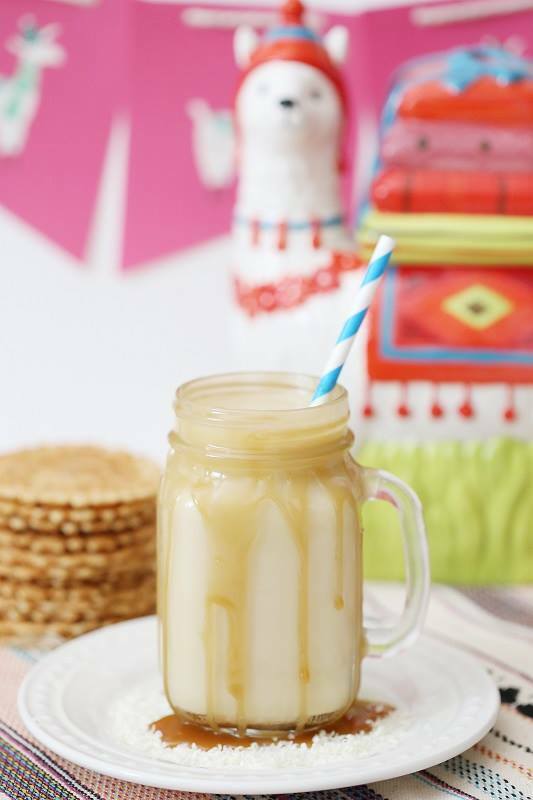 This amazing Llama Dulce de Leche White Hot Chocolate beverage was created by Vanessa Coppola of seevanessacraft.com. Fingers crossed I can still score some llama ornaments for our new place, plus I have my eye on a stuffed llama too! Not in the Columbus, Ohio area? Find a store near you hosting the event by clicking here! I hope you are as excited about to Celebrate National Llama Day as we are! Be sure to check out my previous post about the Golden Llama Treasure Hunt and the adorable llama swag I found! For daily recipe inspiration, subscribe to my newsletter, follow me on Instagram, and for generally inappropriate humor follow like me on Facebook!